Welcome to Sidekicks Childcare Centre! Sidekicks Childcare Centre is a play-based, structured, group daycare centre for 3-5 year olds. 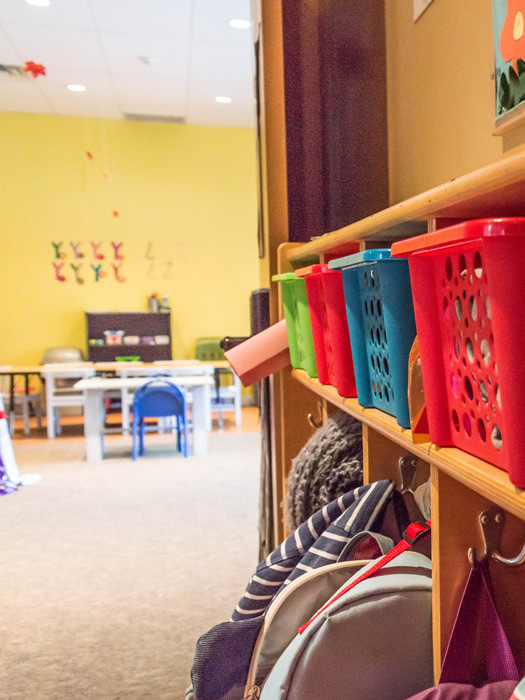 Sidekicks Childcare Centre opened in July of 2017 and is located in South Coquitlam, next to the Maillardville area, close to schools and shopping. Sidekicks is a play-based, structured, group child care facility for children of ages 3-5 years old, with maximum of 16 spaces/day. Sidekicks is proud to share a unique location and space with one of Coquitlam’s premier martial arts schools, Team One Martial Arts. The Sidekicks daycare facility is situated upstairs of Team One in a large building that houses 2 separate mat spaces of 1600 sq ft, where one of the mat setups includes a safe, bouncy sprung floor. There is plenty of space to move around, plenty of toys and games, as well as a large foam pit for the ultimate in safe landings. After graduating high school, I went to University of the Fraser Valley to pursue a degree in Child, youth and family studies. Two years later I received my certificate in Early Childhood Education and had been working in the field for 4 years and I have loved every moment! Currently I’m a third year student in the Child, youth, and family studies degree program and my plan is to finish the program and help provide the best care for these children. My passion has always been working with children and being a part of their growth and development during the early years. I have assisted in designing Sidekicks Childcare Centre’s philosophy and environment to encourage creativity and exploration in a calm and nurturing atmosphere while focusing on gross motor movement as a major part of our curriculum. We strive everyday to provide a lasting education in each child that comes through our centre. I have always enjoyed Maillairdville, and I am thrilled to be working within this vibrant community. I have worked in this field for about fourteen years now… time flies! Over my career I have been a nanny, a daycare assistant, a preschool supervisor, a one-to- one worker for children with autism, a before and after school care manager, and I was most recently employed at an Infant/Toddler centre. I succeeded in graduating the ECE program in June at Burnaby Adult Education. 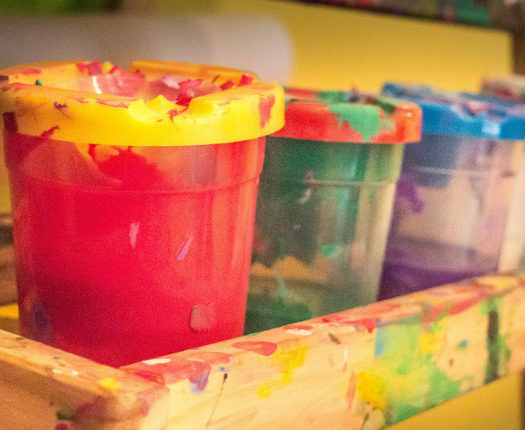 This specialized course focused on the approach of responsive curriculum and a Reggio Emilia-inspired philosophy. I am looking forward to infusing the classroom with beauty and intention. I consider it a great honour and responsibility to care for children, and I am dedicated to creating a wondrous and engaging environment for them to play and learn in. In my spare moments, you can find me running and hiking, or watching movies. I am obsessed with words, and am easily swallowed by a good book or fantastic piece of poetry. A great love of mine is music – I am often caught singing, humming, and whistling especially to the Oldies or Broadway Musicals. We hope to bring our educational expertise as well as our own positive experiences to share with your children. 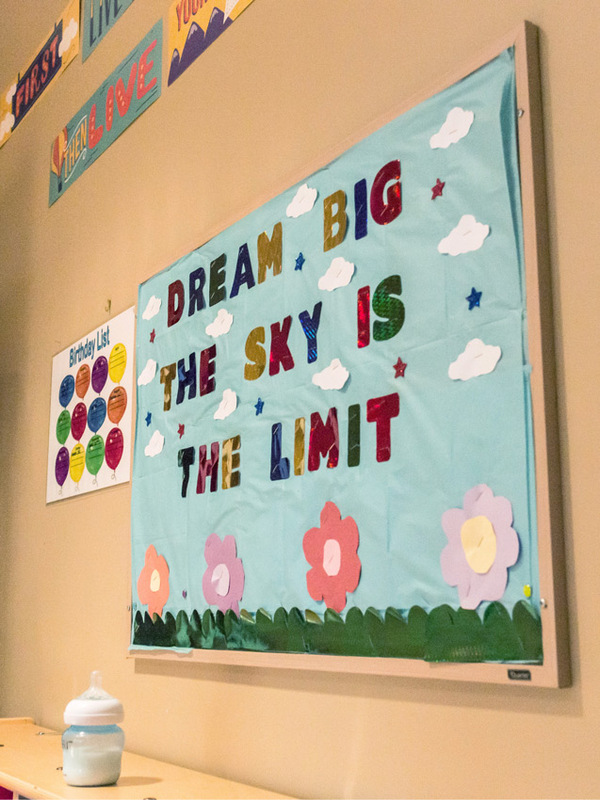 Our philosophy recognizes that children learn through play, where our program is semi-structured, helping children feel secure with regular routines, and with a touch of an academic perspective, with a Preschool Curriculum. We strive to foster this learning in a safe, cooperative, and nurturing atmosphere. 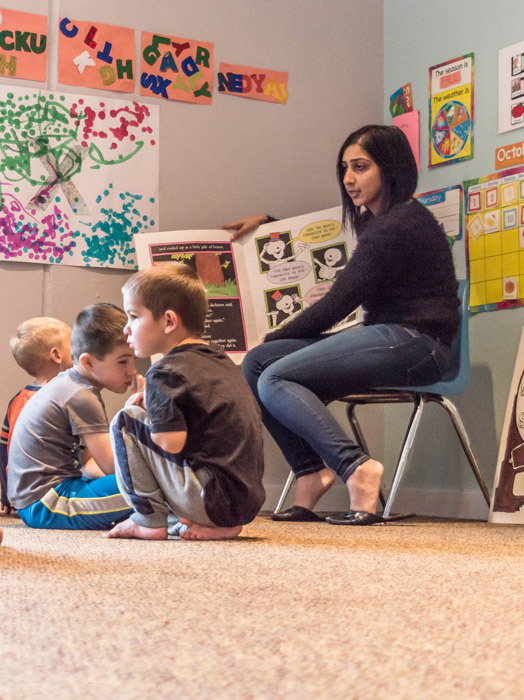 Our Early Childhood Educators guide children in developing language, social play, self-help skills, and a respect and acceptance of others, A nurturing, safe, and yet challenging environment at Sidekicks allows your child to encounter positive relationships with teachers and other children. At Sidekicks, our policies have been carefully thought out to acknowledge the needs of the child, parents, and teacher. Sidekicks Childcare Centre is also committed to assisting families to be healthy and resilient by providing quality family-centred childcare in a compassionate, community oriented environment, where children and their families are encouraged to have an “I can” attitude. We recognize that everyone is valuable and can make a significant contribution to our Community. Families have the primary responsibility for the care and education of their children, and are entitled to be involved in a meaningful way in their childcare experience. We will also focus on caring and educating the whole child in the context of their family so as to develop competent, confident, contributing people. The children are given opportunities to challenge themselves, make decisions, try new experiences and test their ideas. Our goal is to provide a program that encourages social, intellectual, emotional, and physical growth. Playing and sharing with other children, developing language, learning to follow instructions and taking responsibility for oneself are important skills your child will acquire through these learning experiences. While fostering mutual respect and acceptance of others, we value the feelings of the children in our program. Our teachers offer guidance and support while assisting children in taking responsibility for their actions. Increase the awareness and utilization of community resources as needed. Our goal in guiding children is for them to learn how to control their own behaviour. Part of ensuring a safe and nurturing environment is not overlooking the importance of discipline. At Sidekicks, we believe that safety and respect for the rights and feelings of all children is an important aspect of our philosophy. Teachers will be setting simple limits in a clear and consistent manner, providing boundaries for the children as a group or as individuals according to each situation. They will guide children in dealing with anger, frustration, fear, and other strong emotions, encouraging children to speak about their feelings, and work with each other to solve problems. We use positive reinforcement to encourage children, helping them build on their accomplishments. Our early childhood educators model appropriate ways of interacting with others, and redirect or guide a child into acceptable options for behaviour. Shoving, hitting, shaking, spanking, or any form of corporal punishment. Harsh belittling or degrading treatment, whether verbal, emotional or physical that would humiliate the child or undermine his/her self-respect. at all times, the staff will gently guide the children verbally in supporting them towards self-control and self-discipline. We encourage families to ask about guidance and discipline methods as any questions arise. We are committed to working with families and to enhancing knowledge of child development and approaches to child-rearing practices. As immunizations are one of the most effective ways of preventing the spread of communicable diseases, we recommend that all families have their child’s immunizations brought-up- to-date prior to starting at Sidekicks. Once enrolled, please provide updated immunization information as necessary. Have chronic symptom such as cough or runny nose that has been diagnosed as non-infectious. A child may return to the Childcare Centre once these symptoms have disappeared for a minimum of 24 hours, or with the approval of a family health physician, or medical health officer. Child who develops “pink eye” must be treated with prescribed medication for at least 24 hours before being permitted to return to the Child Care Centre. Further, children must be well enough to participate in ALL program activities, both indoors and outdoors. If there is a long term or serious medical concern, a care plan must be put in place before your child attends the Centre. A Medication Instruction form must be included in care plans for EpiPen’s and inhalers. Please see the Manager for more information. If you would like the staff to administer prescription medication to your child, we require that the medication be provided in the original container and a medication consent form to be completed with instructions on administering the medication. Medication cannot be administered in bottles, cups, or food. All medication must be given to a staff and will be stored in a locked container. Please do not leave any medication in your child’s cubby. Also, note that the staff cannot administer non-prescription medication to your child. (i.e. cough syrup or non-prescription creams). The Childcare Centre, its entryways, and its surrounding grounds are non-smoking areas. Anyone wishing to smoke must do so outside of these areas. All meals and snacks are to be provided by the parent/guardian. We feel it is important to provide children with healthy, nutritious snacks, so we encourage parents to send their child with a snack that is low in sugar. If you have any questions concerning this matter, please feel free to speak with us. On special days, we may be preparing and making some snacks or meals, you will be notified beforehand. Please help us keep all our children safe by noting that Sidekicks childcare is a “Nut Free Zone”. There is a microwave available if food needs to be heated up. After lunch, we all settle down for a bit of quiet time. All the children are provided with cots to lie on while they read books, listen to stories and music, or have a little nap (we do have a busy morning)! For your child to feel more comfortable, we recommend that you pack a small blanket, crib sheet, pillow, and stuffy to cuddle with. Please provide inside shoes. Each month we practice fire and earthquake drills and will be taking the children out of the building. Therefore, it is very important that the children have something on their feet. Please do not send the child in sandals or shoes that are difficult to get on and off without assistance. Every day may be an outdoor play day, whether rain, snow or sun. Please send appropriate clothing for the weather.